If there's one thing Llama Llama doesn't like, it's waiting. He and Mama Llama rush around, shopping for presents, baking cookies, decorating the tree . . . but how long is it until Christmas? Will it ever come? Finally, Llama Llama just can't wait any more! It takes a cuddle from Mama Llama to remind him that "Gifts are nice, but there's another: The true gift is, we have each other." 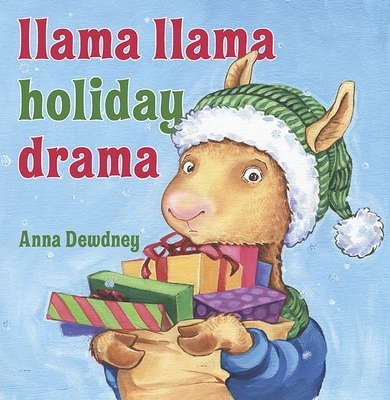 Anna Dewdney was a teacher, mother, and enthusiastic proponent of reading aloud to children. She continually honed her skills as an artist and writer and published her first Llama Llama book in 2005. Her passion for creating extended to home and garden and she lovingly restored an 18th century farmhouse in southern Vermont. She wrote, painted, gardened, and lived there with her partner, Reed, her two daughters, two wirehaired pointing griffons, and one bulldog. Anna passed away in 2016, but her spirit will live on in her books.wo stay-at-home dogs.